It’s probably not that surprising to you that many women have trouble breastfeeding—this is a pretty common experience for new moms—but what if we told you that 80% of women meet with some degree of challenge when they first start nursing? That means 8 out of 10 mothers! (If this is you, you are so not alone!) So we asked an expert—lactation consultant Debby Noar from The New Mummy Company—for her top tips and tricks for making the experience go a little more smoothly for both mama and babe. Know the number one rule: Breastfeeding is not supposed to hurt. Most women experience some kind of discomfort with breastfeeding and it’s important to understand the difference between normal discomfort (which can occur in the early weeks while a new mom and her baby are learning to breastfeed) and damage or ongoing pain that lasts longer than a couple of weeks. Introduce galactagogues to your diet. Life with baby means that new mothers may not have time for three sit-down meals a day—most new mommies find it easier to snack when they can. Choose healthy options, like fresh fruits and veggies as well as protein, and couple with galactagogues, which are substances that promote lactation in humans and other animals. 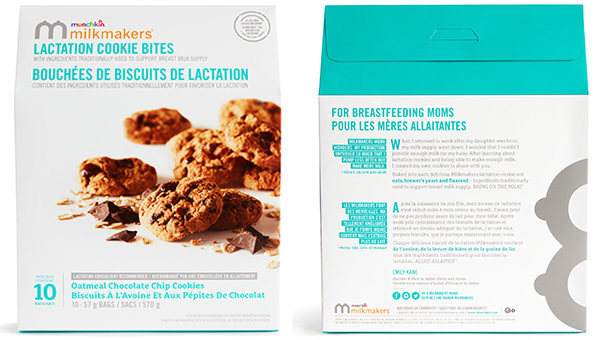 Munchkin Milkmakers Cookie Bites are packed with all the delicious and natural ingredients lactation consultants routinely recommend for supporting and increasing a mama’s milk supply. These yummy little bites, packaged individually for easy snacking, include oats (which are packed with whole grains, fiber, iron, and an abundance of healthy vitamins, minerals, and antioxidants); brewer’s yeast (a traditional remedy, rich in B-vitamins and amino acids essential for nursing moms); and flax seed (which provides an abundance of omega-3 fatty acids necessary for baby’s brain development). Oh, and there are chocolate chips, and you can’t really go wrong with chocolate. Put baby first...and yourself a close second! Putting baby’s health first is the first priority, and that means feeding baby….full stop. Amidst breastfeeding challenges, hormones and lack of sleep, new mothers can often neglect themselves, so it’s very important that a mom put herself a close second to her baby. Remember your self care, ask for help, do your best to make healthy food choices and rest as much as possible. Provide skin-to-skin contact. Skin-to-skin contact has been well-documented as one of the most effective methods of protecting a newborn’s health, as well as an important part of establishing and maintaining the breastfeeding relationship. Place your baby, undressed and diaper only, skin-to-skin on your (or your partner’s) bare chest. This allows your baby to hear familiar sounds, smell familiar and new scents, see your face (your little one can see about six to eight inches in front of him or her), and feel the pressure and warmth of your body and your touch. This is where magic happens! Trust your body. Why is it that in the early hours and days babies seem to be hungry all the time, making us wonder if our milk supply is enough? The answer lies in understanding a baby’s needs from the first hour of life, and using a balance of that knowledge combined with intuition. Trust that your body is made for this process and keep in mind the law of supply and demand: the more the baby suckles and drinks at the breast, the more milk you will make. Positioning matters. Almost all breastfeeding concerns can be resolved by good positioning and mindful relaxation. Positioning and comfort are subjective and depend on many factors, and there isn’t just one way to position a baby for breastfeeding. You just need to be patient with trial-and-error as you learn what is most comfortable for both of you. Use lots and lots of pillows, a footstool to protect your back and shoulders, try different positions and remember to breathe. Get early help from a lactation consultant. Early breastfeeding support, at home and on a new mom’s schedule, can resolve many initial breastfeeding challenges. An international board-certified lactation consultant (IBCLC) comes with specialized skills and knowledge to manage and target different breastfeeding concerns and questions, from positioning to milk supply. Sleep when baby sleeps. This is a tough one for new mothers who hope to return to their life-before-baby activities right away. During pregnancy, your wee one becomes used to the rocking motion of your movement. Most pregnant women describe their babies as being most active in the evening when she rests. Babies come in to the world on this same sleep-wake rhythm and are often more active at night and more snooze-y during the day. This is normal and usually only lasts a few weeks. Sleeping when baby sleeps during the day will give you those nighttime hours back. Learn your babe’s patterns. Healthcare professionals use growth (weight, length and head circumference), as well as diaper counts, to monitor a baby’s development. 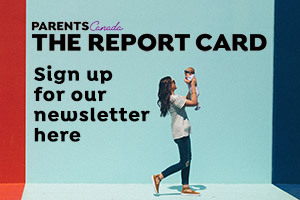 Knowing what’s typical and what to watch out for reassures new parents. Keep track of your baby’s feeds and wet and dirty diapers in the early days (babies who breastfeed well will eat eight to ten times a day, and have a healthy number of wet and dirty diapers) and follow up with your doctor or midwife three to five days after baby’s birth. Call in your network. Especially in the first two weeks, your partner, family members and friends can help with bringing meals, getting groceries, doing laundry and taking on light chores or errands so that you can rest and recover with your baby. A lactation consultant is also part of your network (you can even suggest to your circle that a home visit would make an amazing baby shower gift! ).